As a fitness professional, it’s very rewarding to see the progress your clients make in their training with your gym or fitness studio. However, training a client with a chronic illness like diabetes can be a difficult transition for a fitness professional. 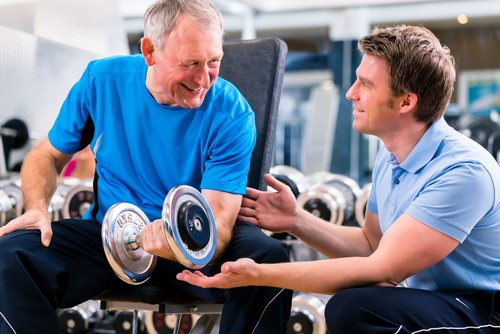 Check out these three tips that you or your staff can use to make your gym or fitness studio friendly to any clients with diabetes. According to Idea Fit, there are 20.8 million people that suffer with either Type 1 or Type 2 Diabetes in 2016. Type 1 Diabetes is a condition where a person’s body produces little to no insulin in the pancreas. Type 2 Diabetes affects the way the body produces glucose. Exercise helps control glucose levels and improves insulin sensitivity for Type 2 diabetic clients. Improved cholesterol levels, decreased blood pressure, and improved muscular strength and endurance are also benefits from daily exercise that can be important for those who have diabetes. Educating your staff on the specific needs of clients with diabetes, it will be easier to create effective and safe strength and conditioning programs for those clients. Rest periods will be imperative for your diabetic clients and these can differ from your regular clients. Make sure that you are planning accordingly to their needs. Not only is physical activity important for athletes with diabetes, but also nutrition plays just as big of a role. Men’s Fitness pointed out some symptoms that can occur for an athlete while training that can indicate an issue with their nutrition including shakiness, mood swings, and numbness in the body. If a client experiences these symptoms during a session, make sure you have the proper foods and drinks on site to help regulate their blood sugar level. Carbohydrates, candy, soda, and fruit juice are among some of the items that fit into that category. Maintaining a healthy lifestyle is important for everyone but for clients with a chronic disease like diabetes, this can be overwhelming. To help your client overcome their fears and have a healthier lifestyle, you need to be supportive and have a positive mental attitude. You and your staff should try to incorporate positive feedback into your sessions to encourage people to continue on their journeys to a healthier life. To learn more tips about running your gym or fitness center, follow SinglePlatform on Instagram, Facebook, and Twitter.